He is a very kind baker at his bread factory. 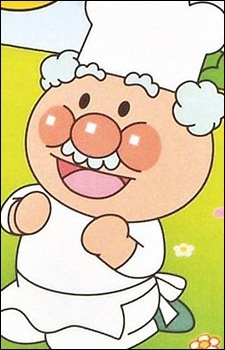 He was responsible for the (unintentional) creation of Anpanman. A skilled cook with knowledge of nearly everything in the world. He is also good at inventing machines as well.